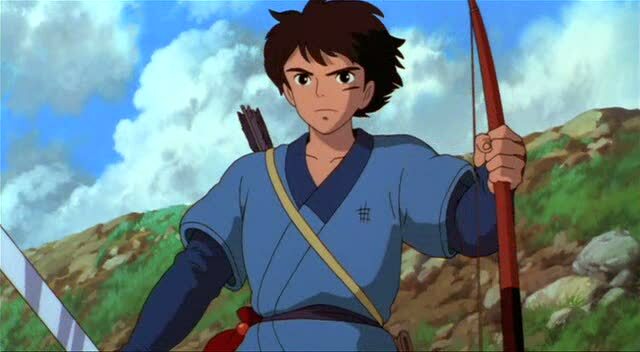 Get inspired by yet another Hayao Miyazaki classic. 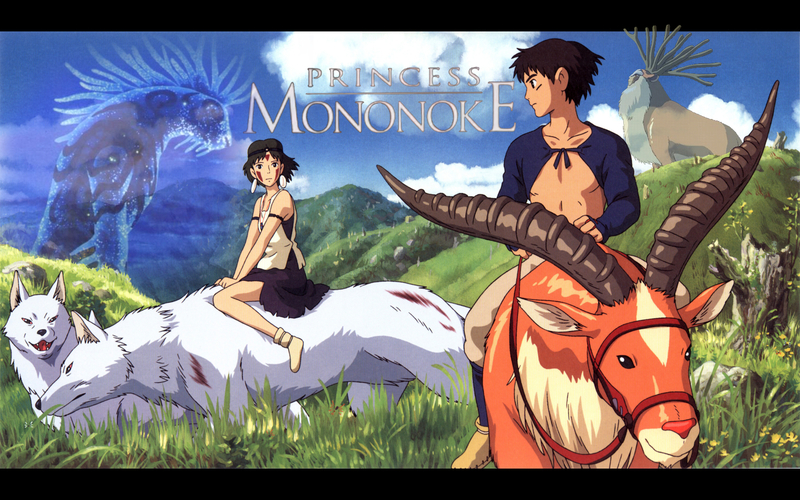 After the awesome feedback you guys gave me on my Spirited Away post, I decided to go with a request for another Hayao Miyazaki film, Princess Mononoke. This is my first time watching the animated movie, and I’m happy to say it completely exceeded my expectations! Princess Mononoke or Mononoke Hime (pronounced: Moh-noh-noh-kay Hee-may) is a 1997 epic historical fantasy anime film written and directed by Hayao Miyazaki and animated by Studio Ghibli, with music written by Joe Hisaishi. Many argue that it’s Hayao Miyazaki’s masterpiece, so it’s a must-see for anime fans like myself! One of the recurring themes in Princess Mononoke is its use of powerful women in warrior roles, which is a tremendous inspiration on its own. 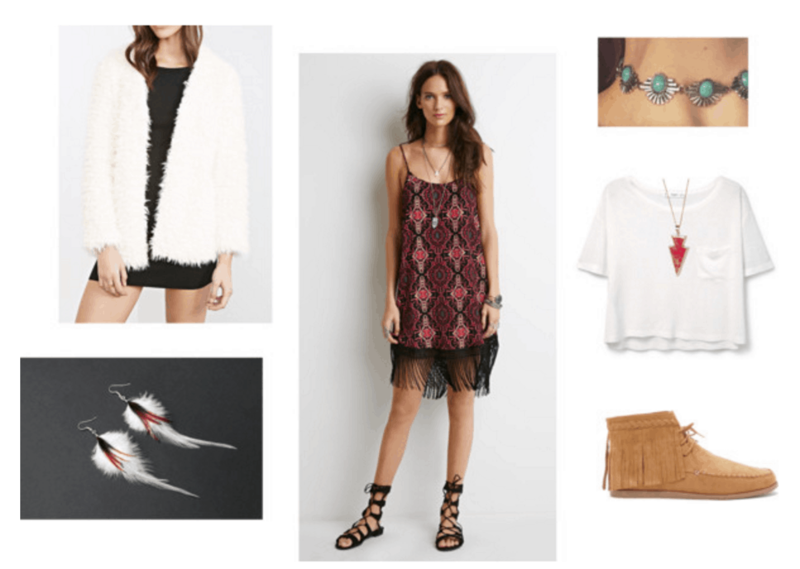 For these inspired looks, I wanted to create a sense of female empowerment, while also incorporating current trends like fringe, layered jewelry, and more. Let’s get started! 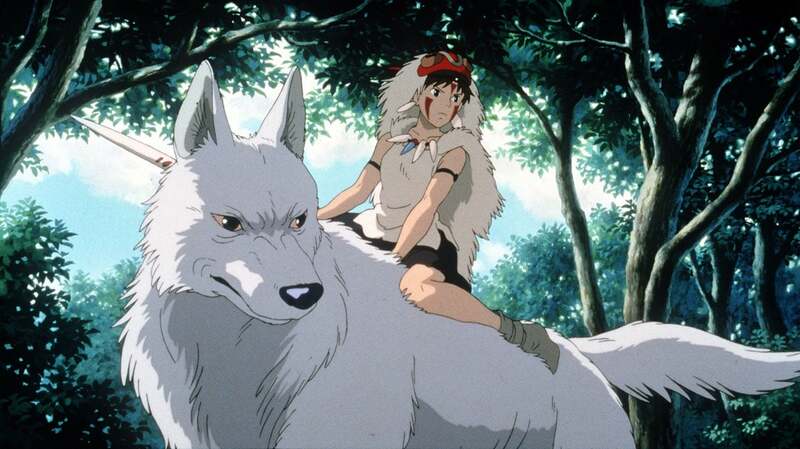 San is known as Princess Mononoke, a 17-year-old girl, the princess of spirits and beasts. When San was a baby, her parents, along with some other travelers, were attacked by the wolf goddess, Moro. San’s parents threw her to Moro as a sacrifice to save their own lives, thus escaping while Moro was preoccupied with the baby. However, San was spared. Moro did not eat her, instead raising San as her own daughter. San grows to see Moro as her mother and Moro’s two natural pups as brothers, rejecting her own humanity and thinking of herself as a wolf. Possibly because of her past, San hates humans with a passion, even more than Moro does. She wears a coat made of wolf hide, and carries a dagger made from the tooth of a wolf. San cares very much for the forest in which she lives and the animals that she lives alongside. She, like the spirits of the mountain, ultimately wants to destroy humans so that they will stop demolishing the forest. In particular, she wants to kill the leader of Irontown, Eboshi. San was raised in the forrest by wolves, so her character dresses in a very organic fashion, incorporating materials that can be found in the natural world. When I think of San, the first thing that springs to mind is the scene when Ashitaka first sees her, as San is tending to the wound of Moro with her face covered in smeared blood. That’s why I made red the primary color in this look. To get this ensemble, start with a trendy fringe dress in blood red and layer it underneath a slouchy white tee to imitate San’s caveman-like outfit. For accessories, layer natural stone and feather jewelry pieces – as a bonus, you’ll be rocking this season’s layered statement jewelry trend. Finally, a white shaggy coat imitates San’s wolf-like jacket, while fringe suede booties will keep you warm and stylish. A prince of the legendary Emishi tribe, Ashitaka is cursed in combat with a demonic boar. His only hope for a cure is to return to the forested land from which the boar-god originally came and discover the rage that infected it. Leaving his people behind, Ashitaka makes his journey and discovers the gods of the forest at war with the humans in the iron-mining town. Ashitaka vows to help the two sides reach a compromise, to cure them of the very anger that now eats away at him. 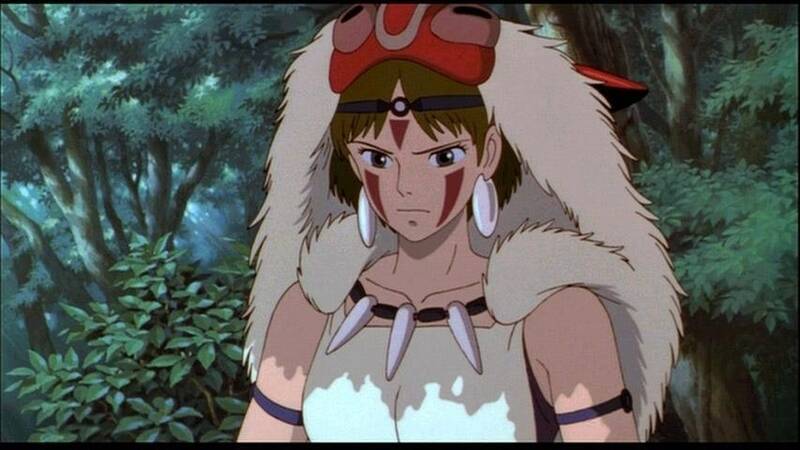 The key to compromise appears to lie with a mysterious human girl who lives amongst the gods, Princess Mononoke. 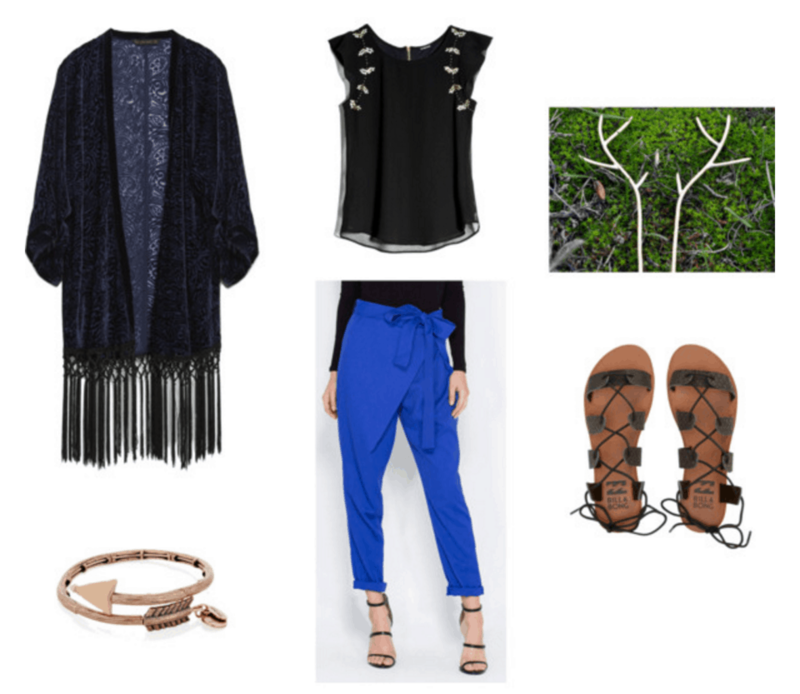 For Ashitaka’s look, I created a monochrome blue outfit and complemented it with natural, woodsy accessories. To get this look, layer an indigo kimono-style cardigan over a loose-fitting blouse with studded leaf details at the sleeves. Tuck that blouse into some relaxed, yet structured, cobalt trousers. These pieces come together for a modernized, Emishi tribe-inspired look that doesn’t stray into the area of cultural appropriation. 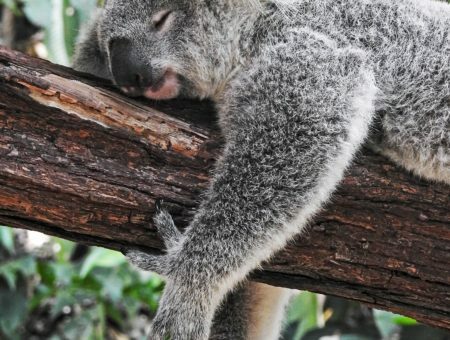 Years ago, Moro found two adults chopping down the animals’ forest. Moro was furious, and she was about to attack them when they threw their baby at her feet as they fled. Moro then raised the baby, San. As the years went by, Moro taught San about the wolf’s life — how to run like one, fight like one, and even act like one. When Irontown started cutting down the trees of the forest, it was Moro who told San to attack the villagers in order to protect her home. Moro, a wolf-god, is a ferocious leader with a vengeful spirit. Therefore, an outfit inspired by her had better scream “gutsy” and “fierce.” To fit that requirement, pair an asymmetrical dress featuring a ’90s-esque halter neckline with a textured black beanie. These are the statement pieces of a trendy, fun, and fierce look. 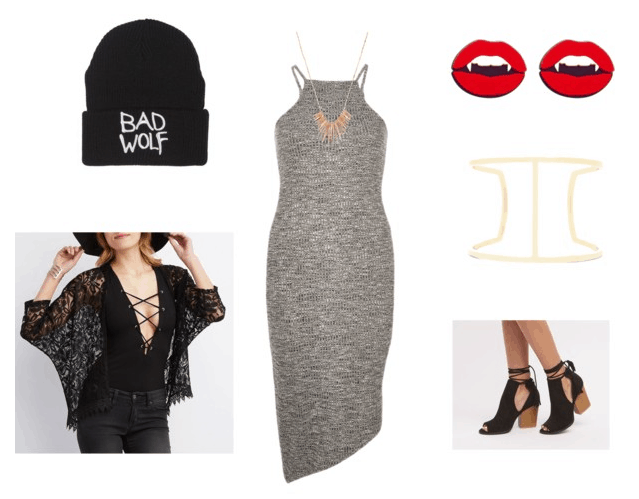 For accessories, some fang earrings and a spiky necklace add plenty of bite — pun intended! Moro is just as elegant as she is ferocious, so balance the edgy aspects of the outfit with a black lacy cardigan and trendy cut-out peep toe booties. 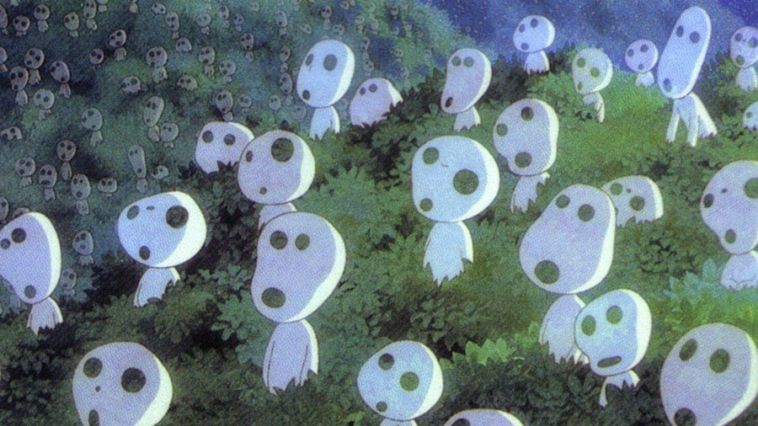 Kodama (pronounced: koh-dah-mah) are tree spirits, whose appearance is a sign of a healthy forest. They are potrayed as tiny, white humanoids with large, rattling heads and mask-like features. They appear to protect the forest, but they also lead Ashitaka out of the forest with two wounded Irontown workers. They are said to bring good luck. While watching the film, the quirky kodama reminded me of cute little fairy-like creatures, so this last look is meant to imitate their wispy and innocent traits and forest origins. Begin with a whimsical little white dress with floral trimmings and pair it with a white, bell-sleeved, crochet cardigan with fringe ends. Underneath the dress, add an olive green peek-a-boo bralette. A dainty flower crown and a nature-inspired ring set are perfect choices to capture the spirit of the forest. Additionally, the laces on these suede flats are reminiscent of the way vines wrap around trees in heavily-forested areas. Lastly, this circular-detailed gold bangle mimics the irregular shapes of the kodama spirits’ faces. Once again, I’d like to thank all the commenters from my previous posts for their feedback. Any requests for your favorite anime? Favorite looks in the post? Or just want to nerd out about the movie? Any and all comments are welcome!